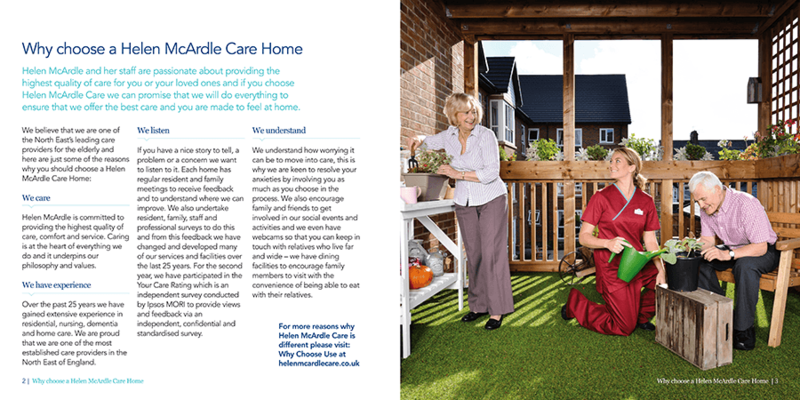 Helen McArdle Care is a forward thinking family run business providing residential, dementia, nursing and respite care in beautiful care homes located across the North East. 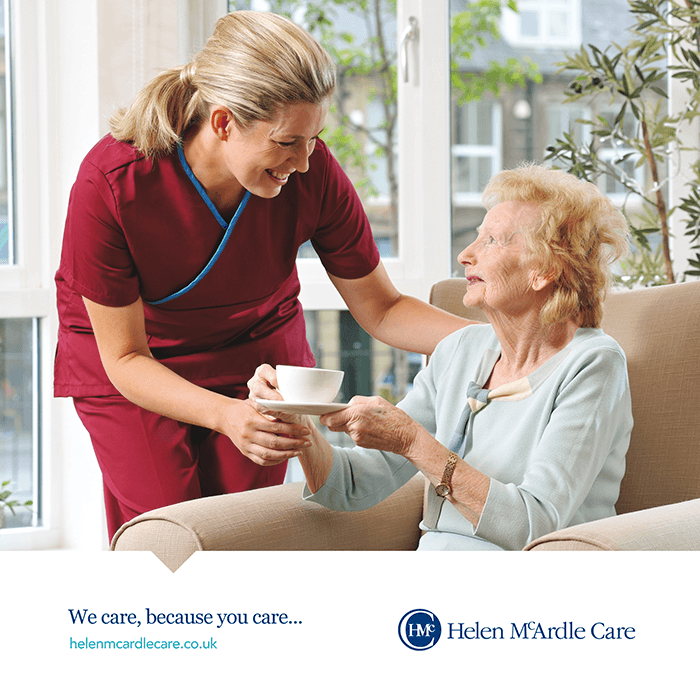 Helen McArdle Care provides the highest quality care possible. 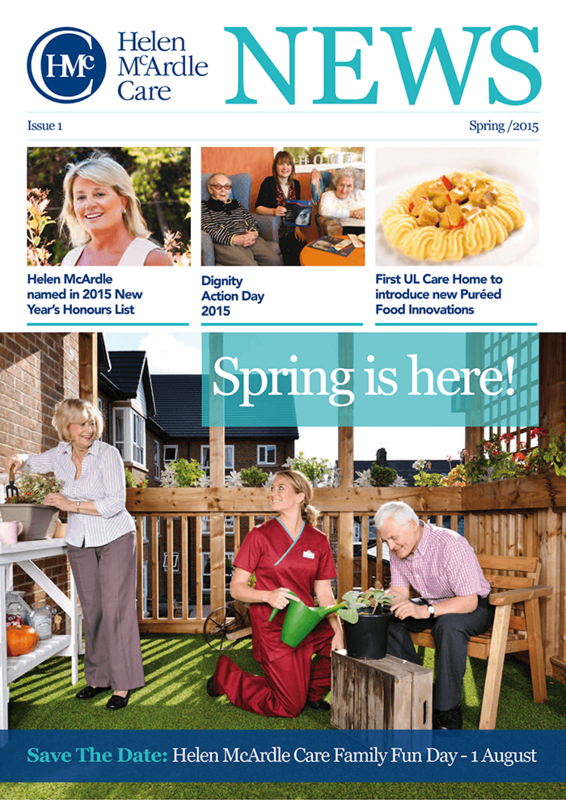 As one of the largest privately owned providers in the North of England, they approached marketing agency Urban River six years ago to initially develop a new website which reflected their overall approach to care. 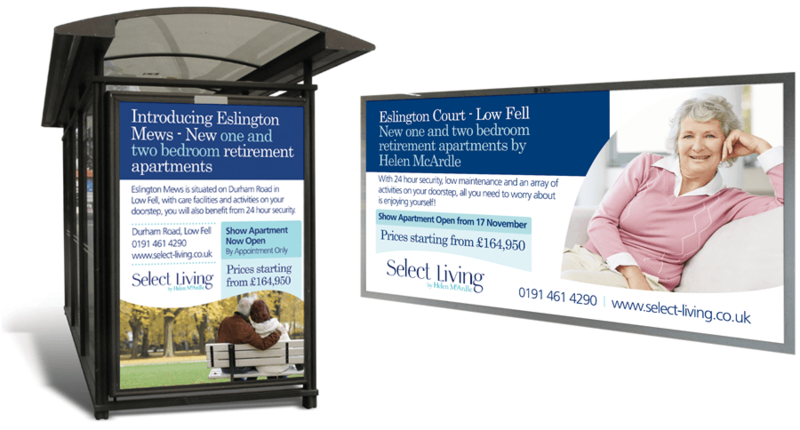 This has developed further over the years across a range of brands, printed deliverables and media campaigns. 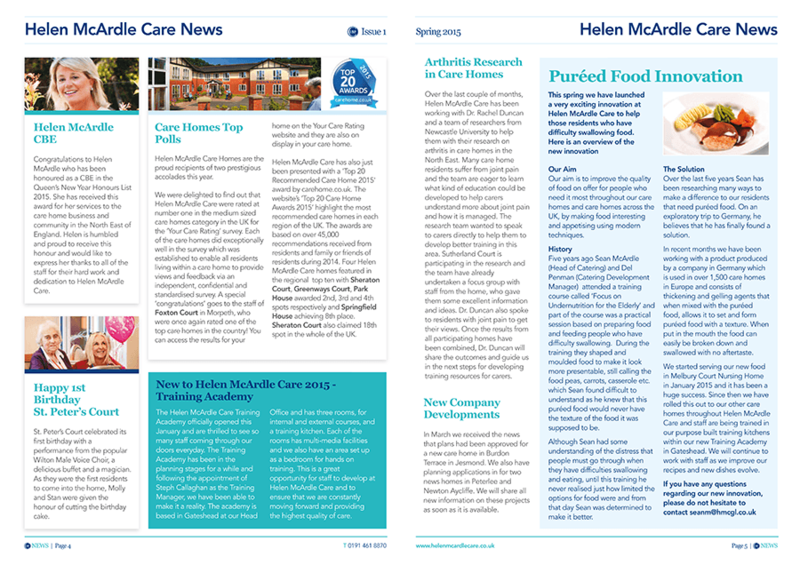 Through understanding the sector and developing a creative image lead approach, we have re-positioned Helen McArdle Care and their associated brands as a modern and forward thinking quality provider. 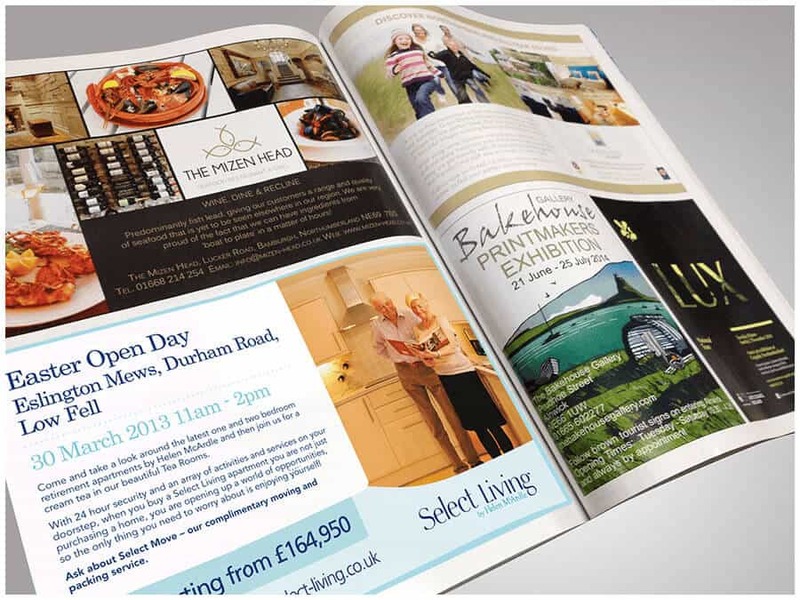 Developing strong images of real people together with subtle colours has enabled Urban River to develop an extensive range of printed literature including brochures, direct mailers and the famous newsletters. 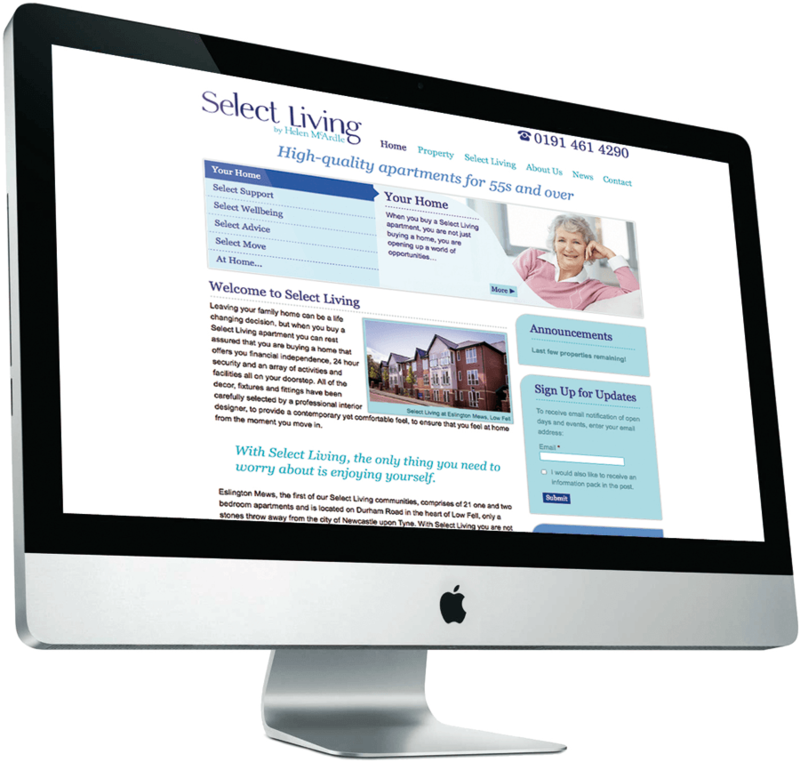 We have developed a number of press and media campaigns supporting new build developments to include their recently launched assisted living brand Select Living. This has included press, outdoor, online and radio advertising. 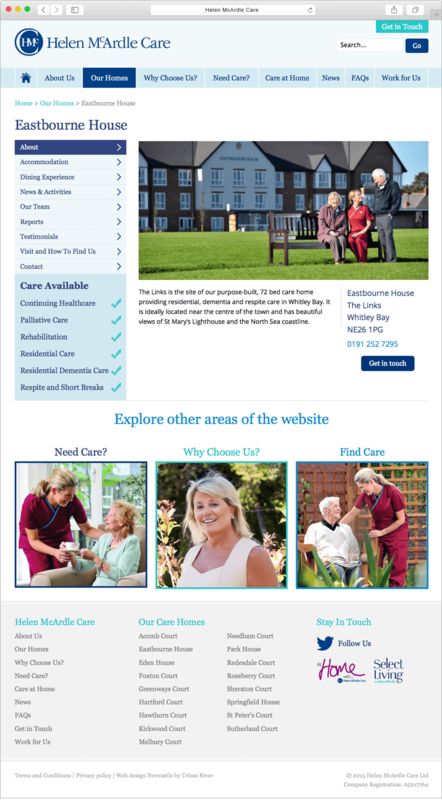 Six years on we continue to expand the overall Helen McArdle Care brand through new and innovative ideas, having recently launched a new website which provides significant amounts of information in an easily digestible way. From identifying a specific home through to more general information surrounding care, it’s all there. All of this information is delivered responsively with users in mind regardless of the device used whether that is a desktop, tablet or smart phone. 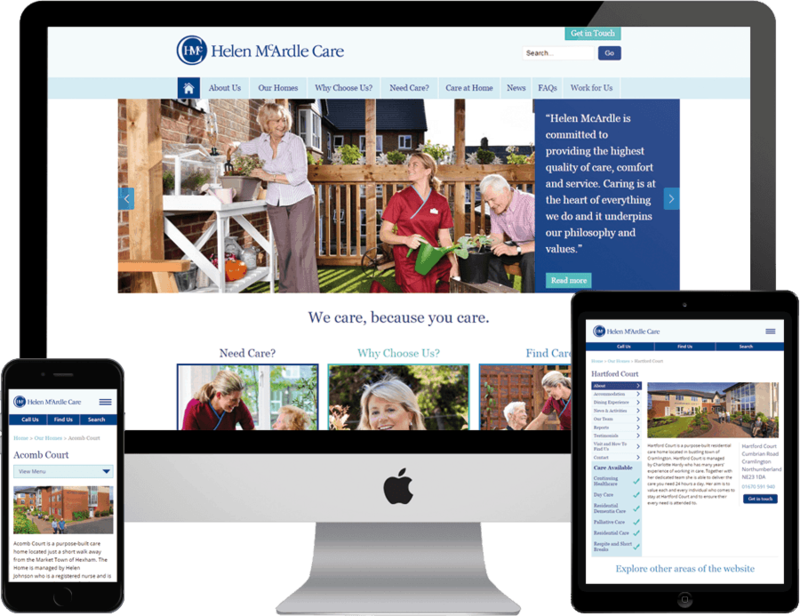 Over the years we have produced ‘stand out’ print and web design and delivered winning advertising campaigns which have raised awareness, encouraged enquiries, developed leads, increased sales and supported Helen McArdle Care as leaders in their field. SearchSearch functionality is available on every page. Home informationEach home has a dedicated panel allowing users to find out more information. ExploreImportant areas of the website are clearly promoted and easy to navigate to. We have worked on digital, print and design projects with Urban River for five years now and they have transformed our brand and given us a new visual identity in-keeping with our original logo and the company values. 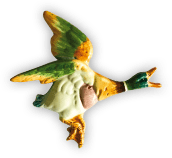 We have lots of thoughts and ideas at Helen McArdle Care, but the team are always able to encompass them all, whilst keeping the original brief at the forefront of the project. All of the Urban River team are very helpful and work hard to help us to achieve our marketing goals.